Tomorrow, Sony's upgraded PlayStation finally arrives. 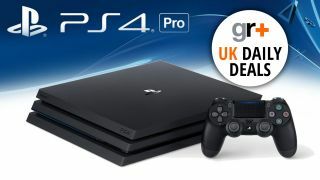 You can read our PS4 Pro review here and, if it takes your fancy, then GAME has some great deals. These aren't at the cheap end admittedly but you get a lot for the money with multiple combinations of games, controllers, headsets and NOW TV passes, all for less then if you bought them separately. That big bundle at the top, with the console, controller, headset, two games and 3 months of NOW, for example, should be £530.